We provide high quality resources that help pupils to improve their results in the STEM subjects. Resources for the new GCSE in D&T now available, including practice papers and homework packs! We provide high quality resources that help pupils to improve their results in the STEM subjects. Our team includes award winning teachers and former senior and principal examiners from across a range of examination bodies. We understand that raising attainment and supporting the progress of learners is key to developing outstanding learning and teaching. - Practice exam style papers, homework packs and command word guides to help learners improve their exam performance, written by former senior examiners. - Starter and plenary activities to engage and excite learners - with minimal preparation required from the teacher. - High quality classroom ready schemes of learning. Our resources are presented as digital files to maximise ease of use. In most cases they are sent to you by email within 24 hours - so they are ready for immediate use in the classroom! Thank you for signing up to our mailing list! We will email your free resource to you shortly! Our team members have been involved with preparing some great free resources to support the new GCSEs in STEM subjects, available from the IET. 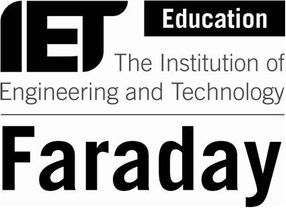 Click here to download your FREE classroom teaching resources from the IET Faraday website! Practical Action’s resources on the 6R’s will help students address questions on sustainability in all material areas and the wider environmental, social and economic impacts of products. Click here to download free supporting resources from the Practical Action website!